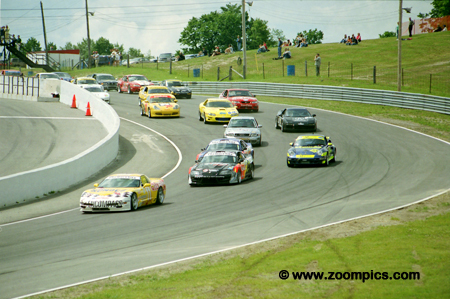 Mosport was race six of the ten-round 2001 Grand-Am Cup season. The car count was lighter than usual as many competitors did not want to make the effort to cross an international border. Forty-seven cars started the three-hour race on the 2.459-mile ten-turn road course. The start of round six of the series and the grid heads into Mosport's turn-one. The pole sitting Powell Motorsport Chevrolet Corvette leads the field. 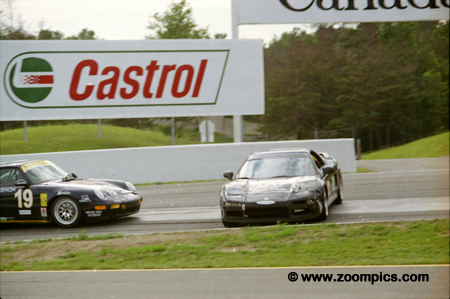 In close pursuit are the two TF Racing Saleen Mustang SRs and the Motorsport Technologies Porsche TT. Not making the trip to Canada and noticeably absent from the event were the very quick Phoenix American Chevrolet Corvettes. 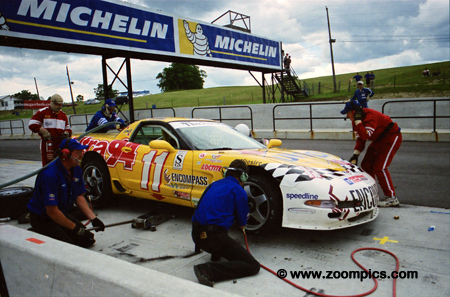 The race winning Powell Motorsport Chevrolet Corvette stops for fuel and tires. The team started from the pole and led early in the race but fell to second after a stop-and-go penalty for a blend line infraction. With some good driving and the retirement of the leading Mustang Devon Powell and Doug Goad were able to earn the win – their first at Mosport in four seasons. The C2K category was not as hotly contested as some of the other classes. The No. 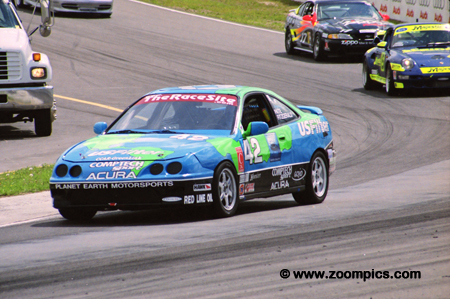 42 Acura Integra GSR of Planet Earth Motorsports dominated the class and they earned their second-straight victory. 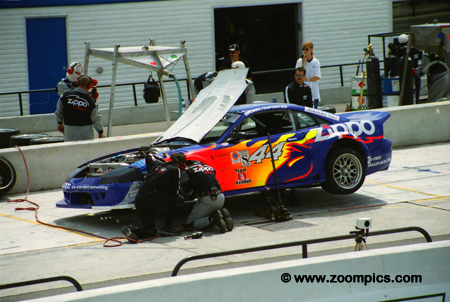 At one point during the race drivers Will Nonnamaker and Mike Fitzgerald put the Acura into the top-ten overall and were ahead of all the Sports Touring class cars. Team Spartanburg Racing entered a BMW Z3 Coupe for Jeff Altenburg and Jim Hamblin. Altenburg qualified the car second in Sports Touring. During the race, the team had a terrific battle with No. 0 Lexus IS 300 and the No. 64 Acura Integra R. The Lexus encountered problems and slid down the order leaving the BMW and Acura to contend for the lead. The BMW got the upper hand and took their second consecutive victory. Late in the race, Jean-Francois Dumoulin hit the Jcomp Acura NSX in corner-ten while trying to pass for second in Grand Sport. 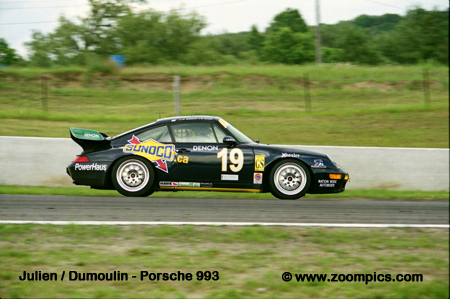 Dumoulin, who shared the Porsche 993 with Robert Julien, was successful in securing the position. As a result of the incident, the Acura NSX shared by John Sherk and Robert Baxter fell to fifth in class. 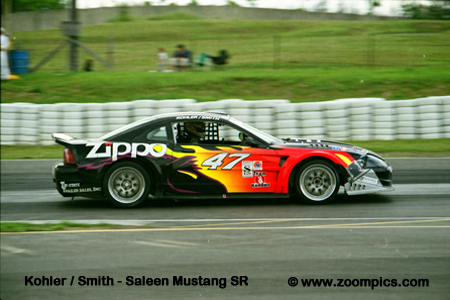 The TF Racing Saleen Mustang SRs qualified second and third in SGS and overall. But a series of brake problems led to the retirement of both cars. The No. 44 was driven by Michael DeFontes and David Brown. The pair completed seventy-seven laps finishing thirty-seventh overall and sixth in class. Starting fourth overall and in SGS was the Motorsport Technologies Porsche TT shared by Dino Steiner and Ian James. With the demise of the very quick TF Racing Saleen Mustang SRs they were able to score a second overall and in class. Despite some contact during the race, the Honda of America Race Team Honda Civic Si driven by Pete Halsmer and Bryan Johnson were able to finish second in the C2K category. 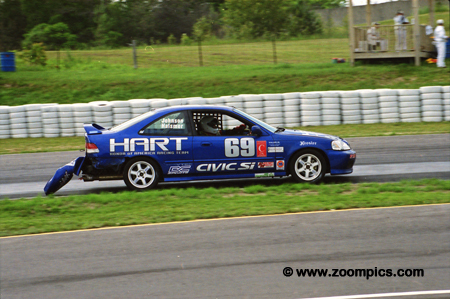 The class win went to the Planet Earth Motorsports Acura Integra GSR driven by Mike Fitzgerald and Will Nonnamaker. 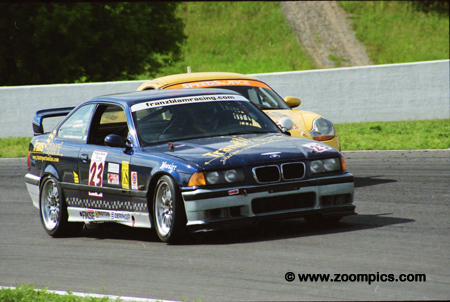 Mark McLean and Tim Pappas qualified the Franz Blam Racing BMW M3 tenth in Grand Sport and sixteenth overall. During the race, the pair was able to move up and run with the class leaders but mechanical problems relegated them to a thirty-eighth place finish. It was two in a row and the third win of the season for Grand Sport driver Sylvain Tremblay. 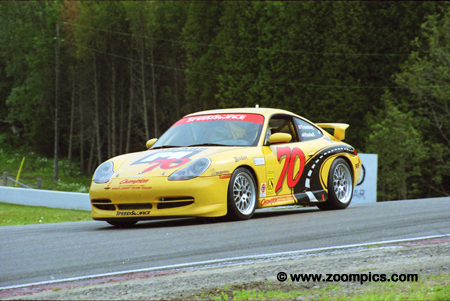 At Mosport, he shared the winning Speedsource prepared Porsche 911 with David Haskell. With the retirement of the TF Mustangs the No. 70 Porsche also became the first Grand Sport team of the season to earn a place on the overall podium - third. The No. 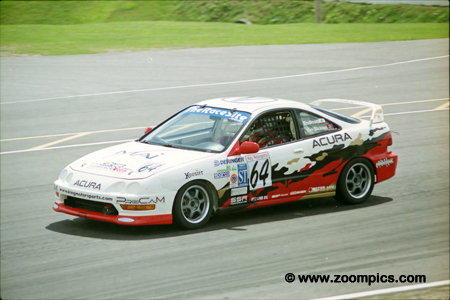 64 King Motorsports Acura Integra R driven by Bob Endicott and Mike Van Sicklen was involved in a three-way battle for SportsTouring class honours. 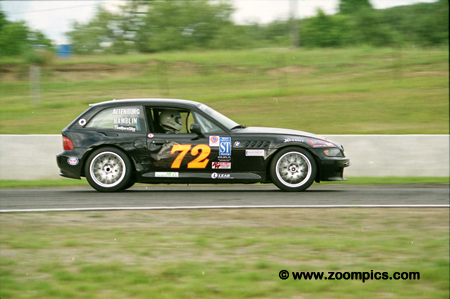 When the Lexus IS 300 of Terry Borcheller and Chuck Goldsborough developed problems it became a two-way battle between Endicott and Jeff Altenburg in a BMW Z3 Coupe. Endicott spun in the last corner on the last lap when he attempted to pass Altenburg for the lead. 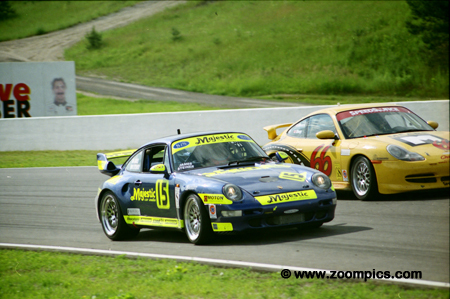 Starting twelfth overall and seventh in Grand Sport was the Fiorano Racing Porsche 993 of Robert Julien and Jean-Francois Dumoulin. The team made progress during the race and moved up the order. Dumoulin was behind the wheel and third in class when he had a late race incident with the second place Acura NSX. The contact allowed the No. 19 to pass for position and finish second in Grand Sport.